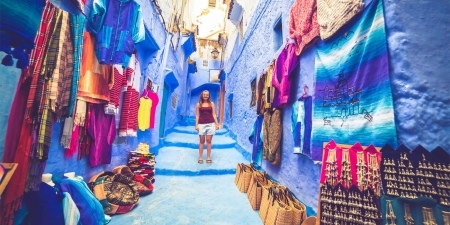 Explore the Highlights of Morocco by visiting the famous imperial cities and Chefchaouen Tour on this unforgettable Morocco 9 Day Itinerary. Spend a stunning adventure from Casablanca visiting Rabat, Meknes, Fez, Marrakech, with a tour to Chefchaouen; Morocco’s “Blue Pearl”. Transportation: a Private air-conditioned vehicle with English speaking licensed driver. Monuments: Admission entrance fees as listed in the itinerary. Meals: as specified in the itinerary. Gratuities: tips to guides, drivers, bellboys, etc. Personal expenses and non-specified expense on the itinerary. As you land in Casablanca, in this Morocco Private Tour our local driver guide will welcome you in front of gate 2 outside the airport. You will drive up north to Rabat, capital of Morocco; you will be taken to check-in at your hotel where you will be spending the night. After breakfast at your hotel, join your tour guide for a tour of the capital city of Morocco. Rabat was founded by Abd Al-Mu’min, a ruler of the Almohad dynasty for military reasons. It was built to serve as a fortress, hence its original name Ribatu l-Fath, meaning "stronghold of victory". Our guided tour in Rabat will then revolve around uncovering the history of Rabat. The tour includes a visit to the Royal Palace, Hassan Tower, and Kasbah Ouddaya. Free time afterward to stroll around the souks and bazaars in the old medina of Rabat which are full or all type of merchandise, as well as leather, made traditional and modern shoes alongside Moroccan styles bags with some authentic Berber style and old jewelry shops. Then, Continue to “Café Maure “on the bank of river Bouregrag, to enjoy a Moroccan mint tea alongside some Moroccan goodies like Kaab Ghazal and Ghariba. After the tour, you will be taking the road andsay good bye Rabat and Hello Chefchaouen. The more you know: Kaab Ghazal means in Arabic the hoof of the dear , and along with Ghariba and Mint Tea are symbols of Moroccan hospitality. Your English speaking driver will meet you after breakfast to start your guided tour which includes a visit to Kasbah Ali Ben Rachid Plaza Uta el-Hammam and a tour of this beautiful city. Chefchaouen is Morocco’s “Blue Pearl”. It has come to be known as such due to a distinctive blue color all the inhabitant use to paint their houses. This tradition trace back to the Jewish traditions and beliefs that the color blue represents the sky which in turn reminds people of heaven and God. This color covering the city gives it an amazing charm as well as a sense and an atmosphere of relaxation, comfort, and peace. Have you heard of healing pearls and gems? Well, this one really works. After breakfast meets you driver guide to get transferred to Fez. En route, we will be making a MUST stop by Volubilis and Meknes. The archeological site of Volubilis is listed by the UNESCO as a worldwide heritage, and it is a witness of a multi-cultural Morocco. A specialized guide will walk you around the remains of the Roman outpost, through the arcs of Triumphal arches, the Capitoline Temple and large captivating Orpheus mosaics which tells tales of Roman life. Afterward, the trip will continue to the Imperial City of Meknes, one of Morocco’s lesser-visited. It was built by Moulay Ismail and was conceived to be the ‘Versailles of Morocco’. Once you meet your local guide, you’ll be able to visit the famed gate of Bab El Mansour, and Lhri. These sites are the main beating veins of the city. We will then continue our way to Fez. After breakfast, start your guided city tour of Fez, once the capital of the kingdom before 1912. Your visit today will revolve around exploring Fez the Medina which is a World Heritage Site, according to the UNESCO, and it was founded in the 9th century and it is home to the world's oldest university. Your local guide will show you around the major sites like Bou-Inania and AttarinMedersa, the tanners, Ess-Seffarine Square, Moulay Idriss tomb, El-Nejjarine square, and the cabinet makers’ souk, the Hebrew district ‘Mellah’. In your schedule, you will have a pottery workshop with a pottery master so that you get to have a full Moroccan experience. After lunch at a local restaurant, you are free to either choose to go back to your hotel or stroll in the narrow alley of the old town on your own. The more you know: each October Fez held one of the largest and well known Sufi festivals with performers from around the world. After breakfast, you will be picked up, and then travel to the imperial city of Marrakech. Along the way, you will pass through small villages such as Imouzar and Ifrane. A bit later in the day, when you reach one of the morocco’s best known agricultural centers called Beni Melal. You will continue on your journey to Marrakech. On arrival in Marrakech, you will be taken to check-in at your hotel where you will be spending the night. Today you will get the chance to wake up and live Marrakech, a dream of many, so be sure to make the best of it. After your breakfast, our local guide and driver guide will be waiting for you to start a guided city tour of the “Ochre City”. We will visit first in the morning the Majorelle Garden which was named after the French painter, Jacques Majorelle who dedicated a lot of effort and passion to this art piece. After Majorelle let’s continue after it to Menara and though the name in Arabic translates to “lighthouse”, it is actually a pavilion with a basin and a garden of orchards and olive groves. We will be heading afterward to the Koutobia Mosque and through the Jewish quarter called Mallah. After lunch at a local restaurant, finish your visit with a carriage ride or “Koutchi” to Jamaa El Fnaa. The more you know: Marrakesh is known for being holy, Moroccans call it “the land of the seven men” who were huge religion and Sufi scholars that gave their lives for knowledge and worship. Local experience: Kotchi(Horse Carriage Tour). Meals: Breakfast After Breakfast at your hotel, enjoy a free day to discover Marrakech on your pace. Have your own Marrakech experience, meet the locals, engage in the “Marrakech” lifestyle, find the storytellers, the snake charmers and let Marrakech charm you as well. Wake up and enjoy a lovely breakfast at your hotel before heading to Casablanca to catch a flight back home. 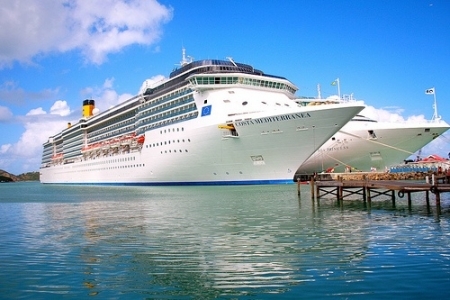 Price quotes are in US dollars per person per trip, and are valid until August 30st, 2019. Please inquire for pricing over Christmas, New Year’s, and Easter holidays. Child pricing applies to children who share rooms with their parents. If your tour includes airfare, additional charges for your children may apply. Reservations should be made as early as possible to guarantee your Morocco tour availability. Your booking will be secured upon receiving a deposit of 50% of your trip price. This deposit forms part of your final payment. Deposits can only be made by credit card, wire transfer, or Western Union, and the balance of payment to be paid one week before tour start date. 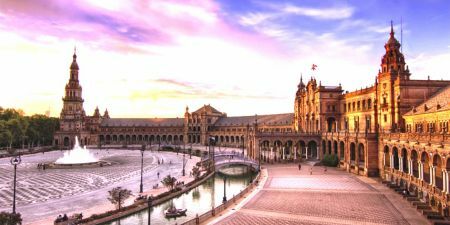 You need to have a valid passport at least 6 months beyond your scheduled return date to enter Morocco and you can obtain a visa from Morocco Consulate before departure. Also, entry visa is available upon arrival in Morocco airports against USD 27 per passport for specific nationalities and need to check before. 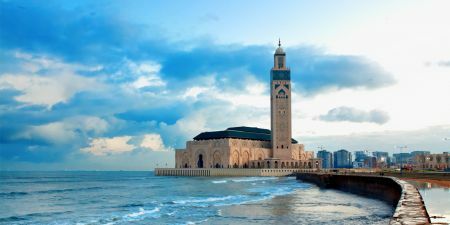 Some nationalities don’t need a visa to visit Morocco for the purpose of tourism for up to 3 months such as United States of America, Canada, United Kingdom, Australia, Denmark, Netherlands, New Zealand, Switzerland. For more info and details on entry visa to Morocco please check with the Moroccan consulate or embassy at your country. Tipping for a job well done is customary in Morocco, though not required. Please feel welcomed but not obliged to offer a tip to your guide.